Jama Masjid is tucked away in the quaint part of Delhi – Chandni Chowk. 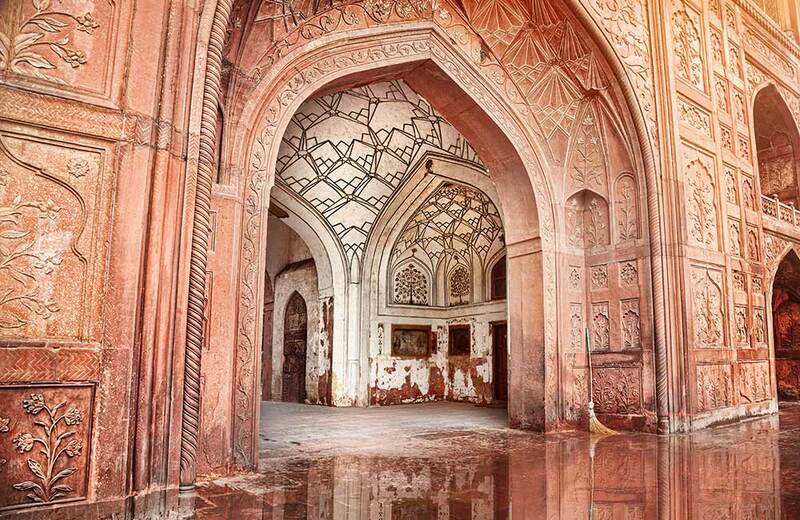 Built by Shah Jahan in the year 1656, the mosque was intended to be the primary place of worship for the emperor. Today, anyone can visit the mosque despite their religion and caste. However, if you are meaning to visit the mosque anytime soon, ensure that you are covered properly and leave your shoes outside. Also, do keep some time aside to soak in the view of Old Delhi from the top of its southern minaret. Trust me, it will be worth your time. You can easily spend the better part of your day inside the mosque, but there are plenty of things to do near Jama Masjid, Delhi as well. Take your pick and keep this blog bookmarked so you have different options on your next visit to this part of the city. 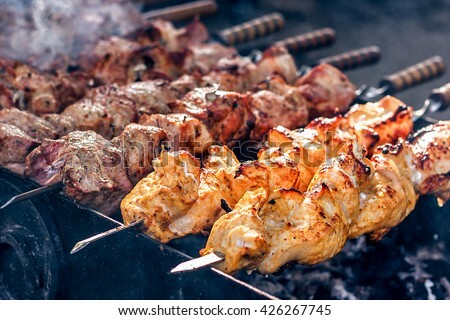 Before you set out on exploring the meandering lanes, shopping markets and other famous places near Jama Masjid, stop by Aslam Chicken Corner and get your fill of drool-worthy chicken dishes. Renowned for its twist to the classic Butter Chicken, this place started from humble origins but today occupies a three-storey building in Chandni Chowk. Try their classic tandoori chicken, grilled after being marinated in a spicy concoction, and dipped in a silky butter gravy. 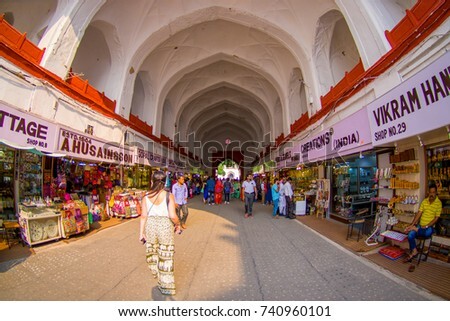 Among all the things to do near Jama Masjid, Delhi, visiting Meena Bazaar should always be on your list. Why, you ask? Because this is the place where you will find everything from caps and trinkets to other knick-knacks. However, the main reason people visit Meena Bazaar is to stock up on comfy and warm quilts, pillows and mattresses. You can visit this place before the winters start in Delhi. 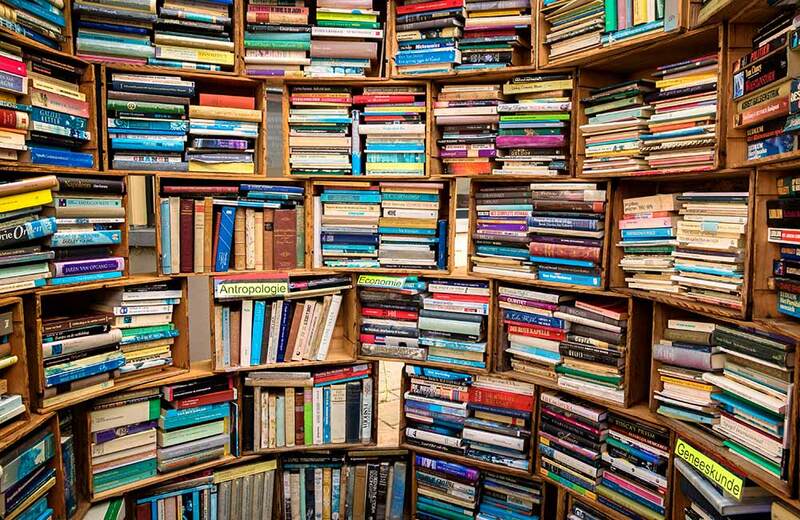 While the Sunday Book Market in Daryaganj will fetch you rare editions of novels, Nai Sarak is for people who are looking for new editions (and second hand copies) at dirt cheap prices. 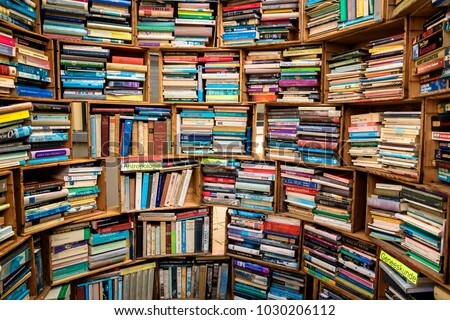 This is a long and usually busy street, where you can find books for different courses. You will also find various stationery items here. Please note that the market is closed on Sundays. 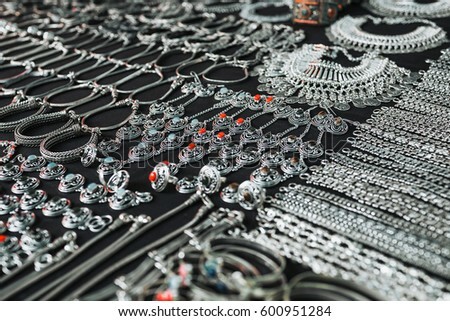 Not just gold jewellery, but silverware can also be found here at 25% lesser prices from what you will usually get at retail shops. Be prepared to toggle your way through the crowd, and bring your bargaining skills amped up and ready. Start with Dau Dayal and Co for silverware and other accessories that sells rings starting from ₹ 250 and earrings from ₹ 450. 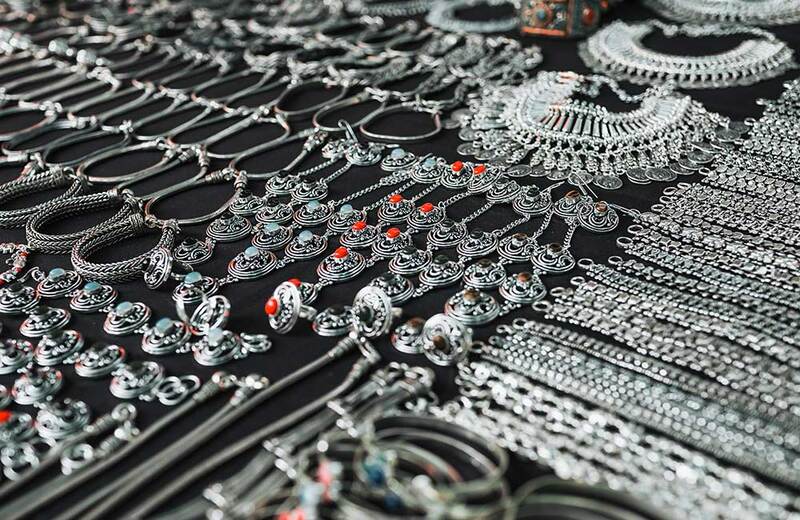 Other shops that you should check out include Regalia Jewellery House, Sheel Jewellers and Multan Jewellers. After all this shopping and exploring, you must feel a need to sit down and gorge on some delicious dishes. 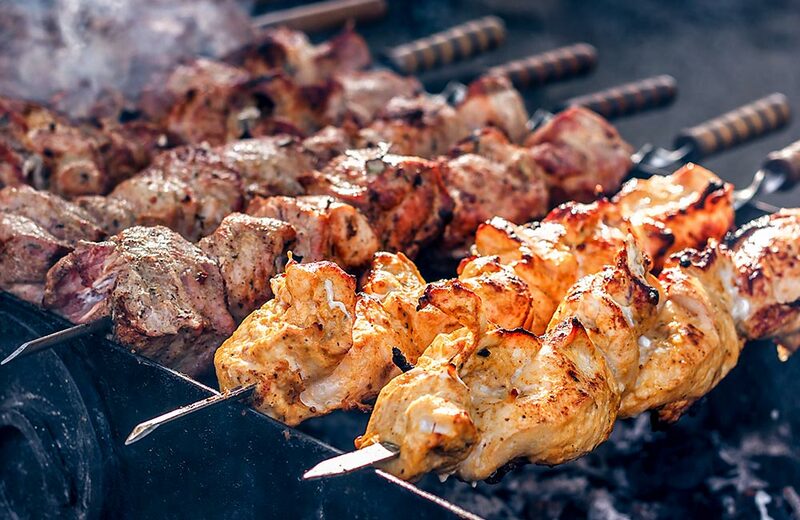 For this sole purpose, stop at Qureshi Kebabs, which is perfect for indulging in some melt-in-your-mouth kebabs. 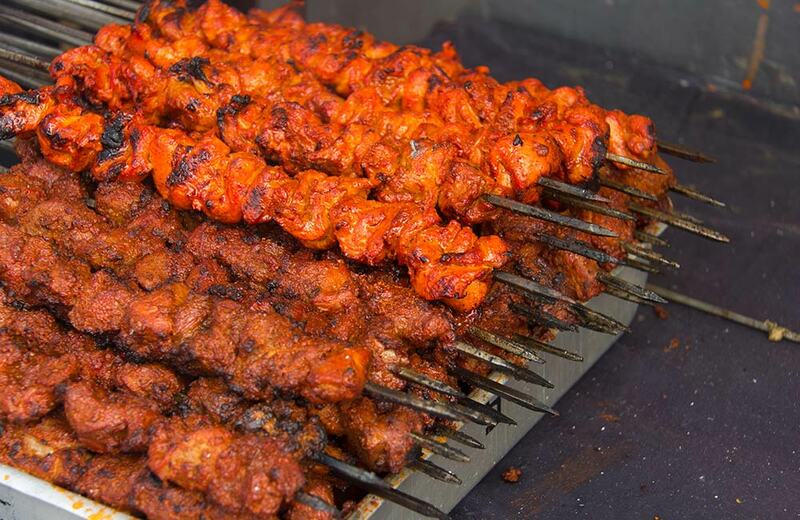 Their mutton kebabs are out of this world and is best enjoyed without rumali roti. Of course, sprinkle some lime and have it with raw onions for a taste that will linger on for days. Have an upcoming wedding to shop for? 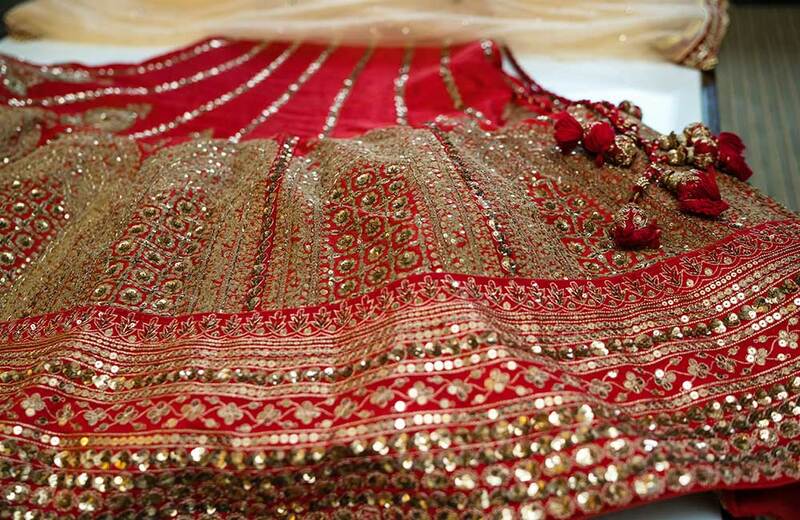 Or just need a blingy gown for the engagement of your friend? Kinari Bazaar should be on your checklist. A market complete with lanes of blingy attire and materials to get everything stitched from scratch, this place is truly a haven for all the fashionistas out there. 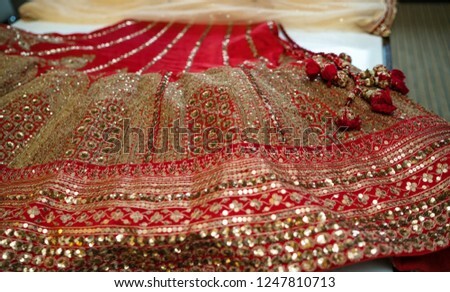 The shops don’t sell dress material by metres, but provide 9 metres of clothes as standard. And, the prices start at ₹ 30 which can go up to ₹ 13000 depending on what you are looking for. Located just 2 km from Jama Masjid is the imperial monument and a glorious reminder of the Mughal era – Red Fort. And, if you are visiting Jama Masjid, it goes without saying that you should take a tour of this red sandstone structure. Apart from Jama Masjid, you can also visit the famous Sri Digambar Jain temple. One of the oldest Jain temples in the Indian capital, it is right across the road from Red Fort. 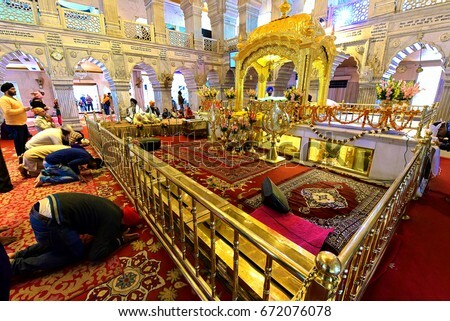 Gurudwara Sis Ganj Sahib is also a landmark monument in the area, and the langar here serves delectable food. 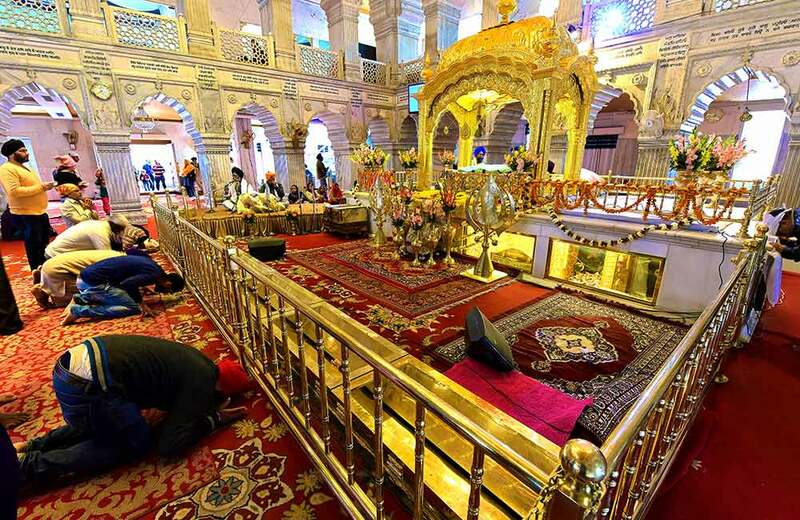 You can either sit here and spend some time in solitude or help in feeding the devotees who throng the Gurudwara every day. After all that shopping, eating and exploration, you ought to feel a little exhausted. 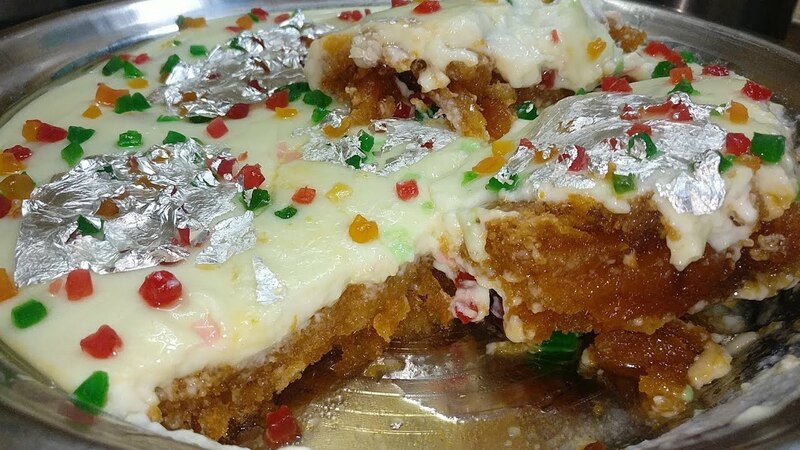 This is why a little helping of shahi tukda from the famous Cool Point should be next up on your itinerary. 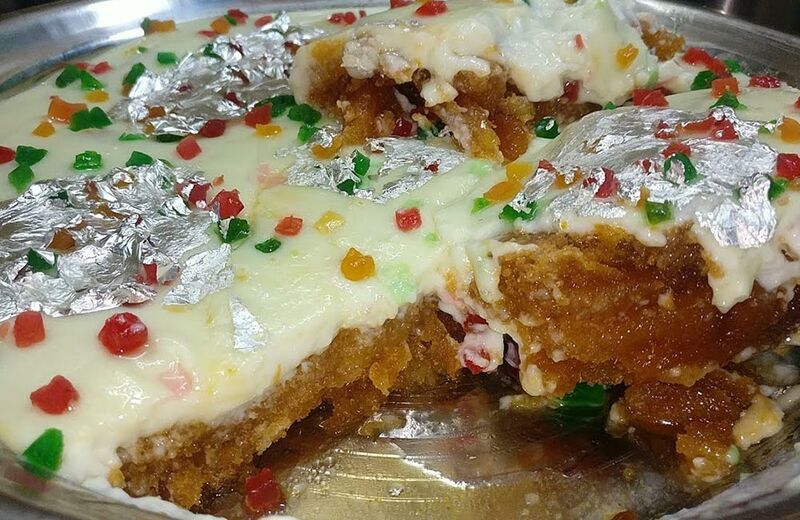 Treat yourself to this creamy and tantalising dessert from North India at this old and renowned haunt of Chandni Chowk. These are just some of the things to do near Jama Masjid, Delhi that we thought you will love. 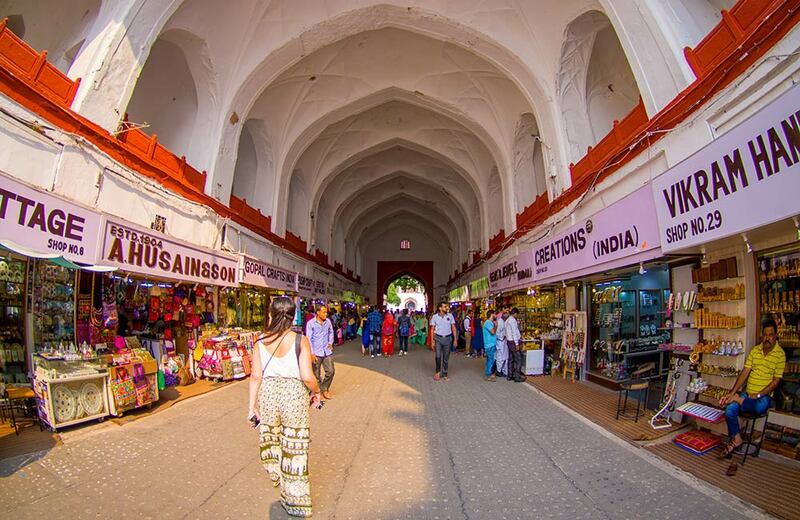 Of course, Delhi has a lot more to offer, starting from its quintessential monuments to shopping at famous markets. 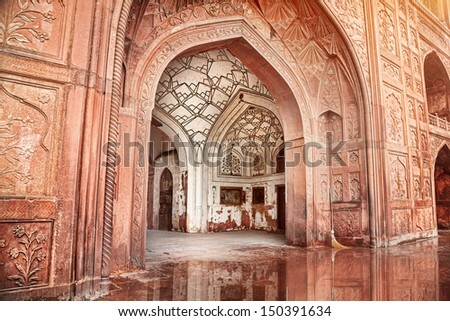 Other incredible activities near Jama Masjid include remembering Mirza Ghalb at his haveli in Ballimaran, gorging on flavourful korma with sheermal at Al-Jawahar and buying spices at Kari Baoli. 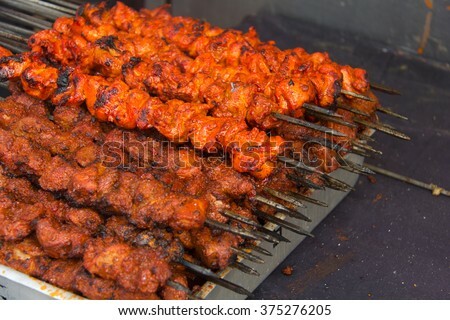 To know more, go through out blog on the best things to do in Old Delhi.